We would highly recommend the Aicok. It stands up well to the competition and comes at a good price. It is easy to use, reliable and tough. The best part, of course, is the great coffee. 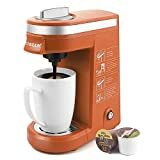 With the fast pace of modern life and everyone’s quest for convenience and speed, single serve coffee machines have become a must-have gadgets. And the Aicok Single Serve Coffee Maker is just the one you’ve been searching for! Sometimes you want to sit with friends or family and leisurely enjoy a nice pot of coffee. However, there are also times when all you need is a quick pick me up in a single cup, often on the run. This is what makes single-serve brewers so great. 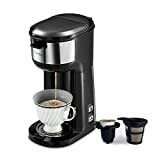 No need to measure out the ground coffee and water, just pop in a K-cup, press the button and in a few short minutes a fresh, hot, delicious single cup will be ready. No, don’t even think about instant coffee, it is just not the same. Only a quality coffee machine like the Aicok Single Serve Brewer will give you a great aromatic coffee with a rich and deep flavor. 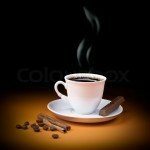 There are a number of advantages to investing in a single serve coffeemaker. The main benefit you will get from one of these machines is convenience. You don’t have to measure anything. If the water reservoir is full you simply insert the capsule, close the lid and press start. That’s it. The coffee and water is measured out perfectly by the machine, all you have to do is enjoy the tasty coffee. 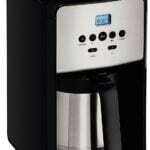 You can set the coffee maker to brew to your specific requirements and tastes. 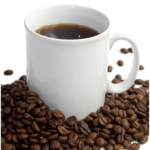 If you want to experiment with different coffee flavors there are many to choose from. The single cup machines are fast. A fresh cup of Joe will be ready in a minute or two. If you are in a hurry and going out, it can make the coffee directly into your travel mug. They not only make great coffee but can also be used for making hot chocolate or tea if you prefer. Although the machines are designed for single cups, they are fast enough to make a few together if a guest or two pops over. 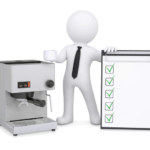 There are a few specific things to look out for when selecting a single cup coffee machine. You want a machine that is straightforward and simple to operate. Some models get too fancy and complicate what should be a quick and simple process. You obviously want to keep the machine clean at all times. This will ensure it is hygienic and safe to use. It will also extend the life of the coffee maker. Nobody wants a large, ugly looking machine in their kitchen or office. Look for a machine that is compact and has an appealing design. 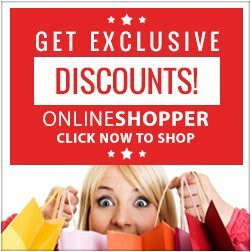 With all the great single cup coffee makers in the market, how does one select the one that is right for them? We took a look at all the top machines available and a few really stood out. One of them is the Aicok Single Cup Coffeemaker AC507. Let’s take a look at this nifty little machine. 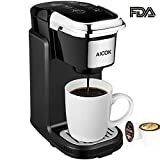 Aicok are relatively new players in the coffee maker market but have already proved themselves by making a number of different coffeemakers that are popular with the consumers. Their single serve machine, the AC507 is no exception. It check all the boxes on the list of things to look out for above and has a lot to offer. 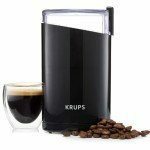 The coffee maker takes up very little counter space and is ideal for your home or office. It will compliment your space well with its sleek modern lines. The press handle design is efficient and easy to use and helps to keep the size down. This is convenient and means you do not have to wait and watch the coffee maker. It is also environmentally friendly and safe. The coffee maker is set to the ideal temperature to extract the full flavor and aroma of the coffee. This means the machine will work with most pods available. For a well priced machine, the Aicok single cup coffee maker is robust and will last you well. It comes with a two year warranty. Many of the parts including the cover and drip tray come off and are dishwasher-safe making it easy to clean. The Aicok machine is extremely user-friendly and affordable too. This Aicok single Serve Coffee Maker has all the features you can want, including a stylish compact design. 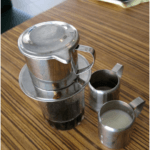 It is easy to use and makes great coffee in no time at all.